Over a large area with complex and dynamic shallow water regions, Geodynamics performed high-resolution multibeam, singlebeam, and topographic surveys of the Cape Fear River Inlet and adjoining shorelines in order to generate a highly accurate Digital Elevation Model for sediment management purposes. 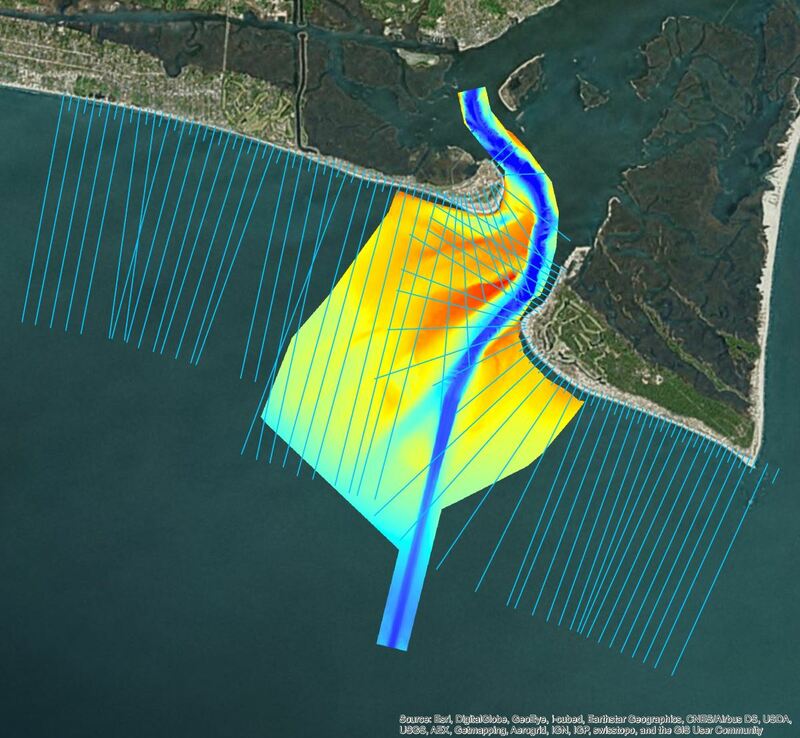 Under contract with the US Army Corps of Engineers Wilmington District, Geodynamics was issued repetitive task orders to complete shoreline and inlet monitoring from 2014-2016. 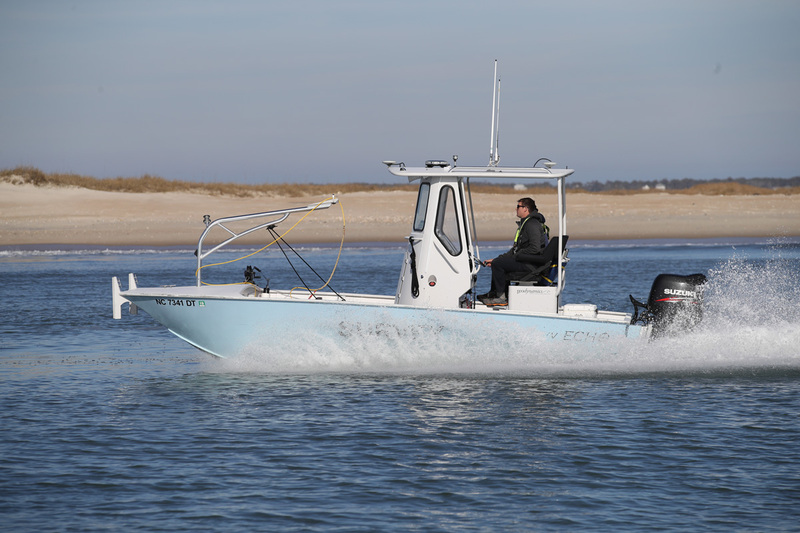 To monitor the Wilmington Harbor Navigation Project, Geodynamics completed a multibeam survey of 7.6 miles of the navigation channel and ~3.5miles in width of the ebb shoal complexes using a Kongsberg EM3002-D aboard survey vessel R/V Benthos each winter. This multibeam bathymetry was collected in and around the shipping channels and ebb shoals of Cape Fear River Inlet with the goal of producing a complete, interpolated bathymetric surface capable of generating continuous contours. 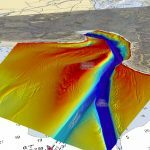 Areas too shallow for multibeam were mapped using a singlebeam system and topographic survey techniques. 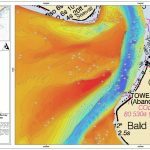 This survey met or exceeded the criteria for Class 1 Hydrographic Surveys as outlined in the USACE Hydrographic Surveying Manual and Hydrographic Surveying Engineering Circular. 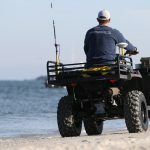 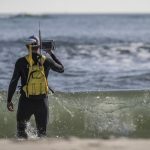 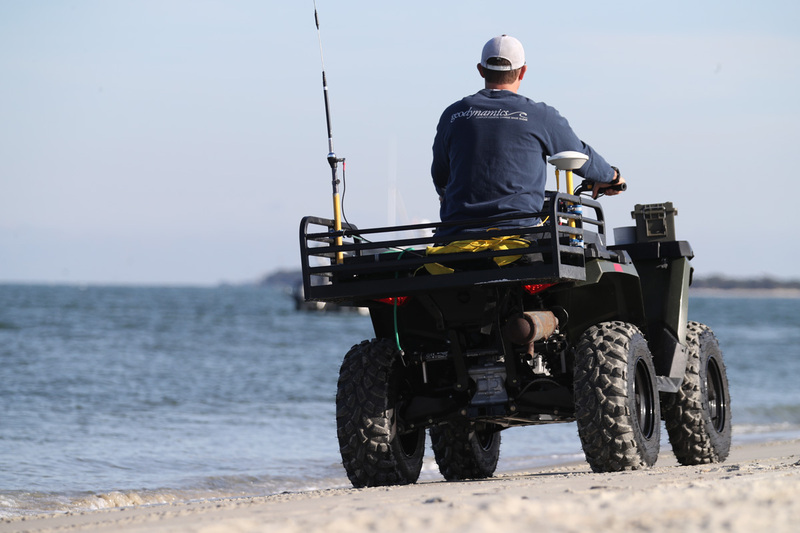 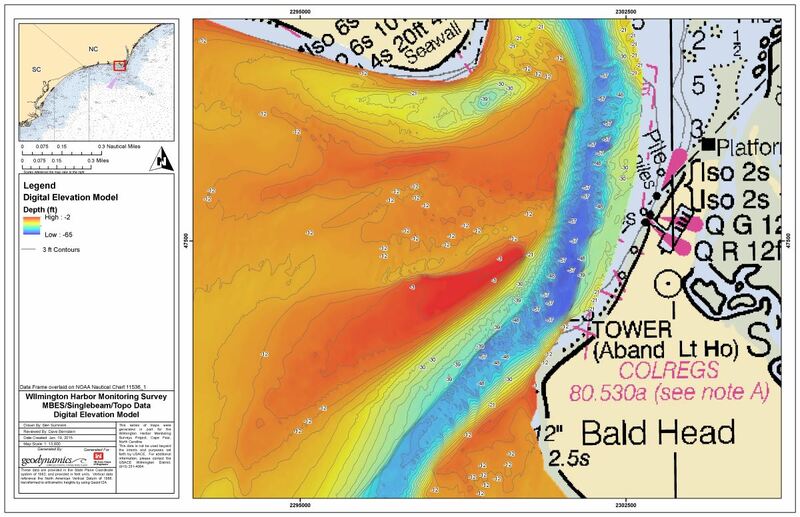 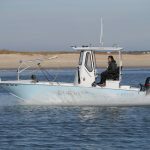 The multibeam survey was collected concurrently with adjacent seamless topo-bathy beach profiles collected along pre-defined USACE monitoring profiles on Oak Island and Bald Head Island. 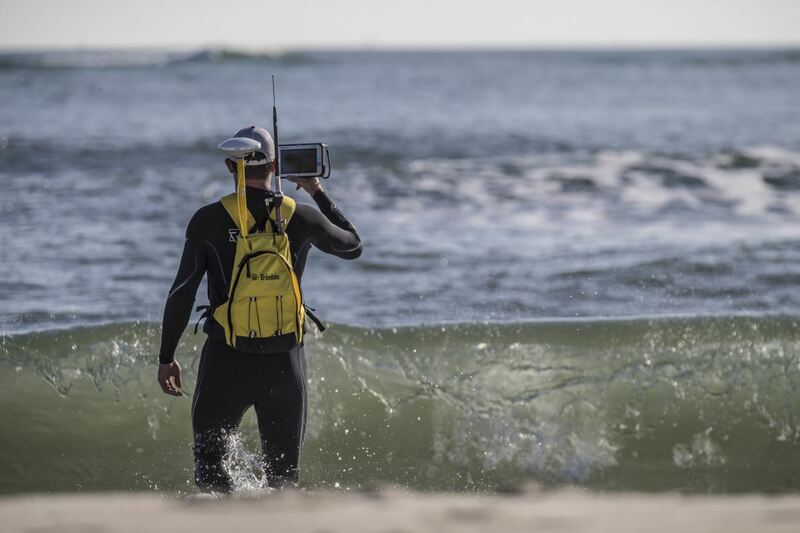 Topo-bathy beach profiles were collected again on the same stations each summer, to monitor seasonal sediment erosion and accretion patterns. 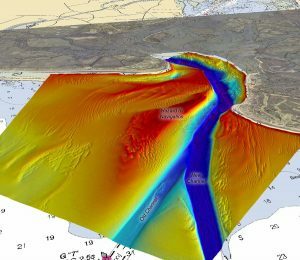 The USACE Wilmington District has rated Geodynamics performance of both tasks as “Exceptional” with regard to Schedule, Cost Control, Management, and Regulatory Compliance.